Woohoo, look what we’ve got! It’s a Galaxy S9+! We’ll review it at some point down the road (hopefully within a couple of weeks), give you all the fresh tips and tricks, camera shootouts, etc. Before we get there, though, we figured we might as well keep the tradition going and unbox the little guy. 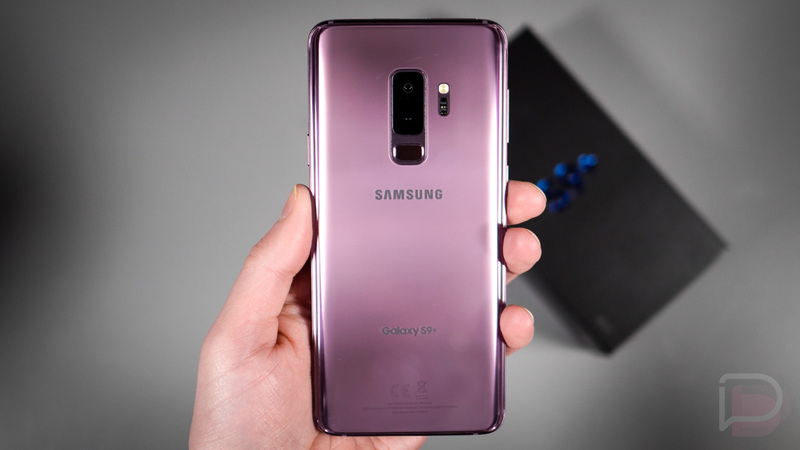 This is the AT&T model of the Samsung Galaxy S9+ in Lilac, which is probably the version most should get if they are considering the S9. It’s got the bigger battery, more RAM, dual camera, and the hottest of all the colors. Yes, purple is 🔥. Also, big shout out to AT&T for the review hookup. Thanks for continuing to support us.